The Rosé Way - City Vino, Inc.
Rosé season is in full swing and they come in all shapes and sizes. Here are a couple helpful hints to figuring out what’s in the bottle. Color – the intensity of the color is a good indicator of the intensity of the flavor. 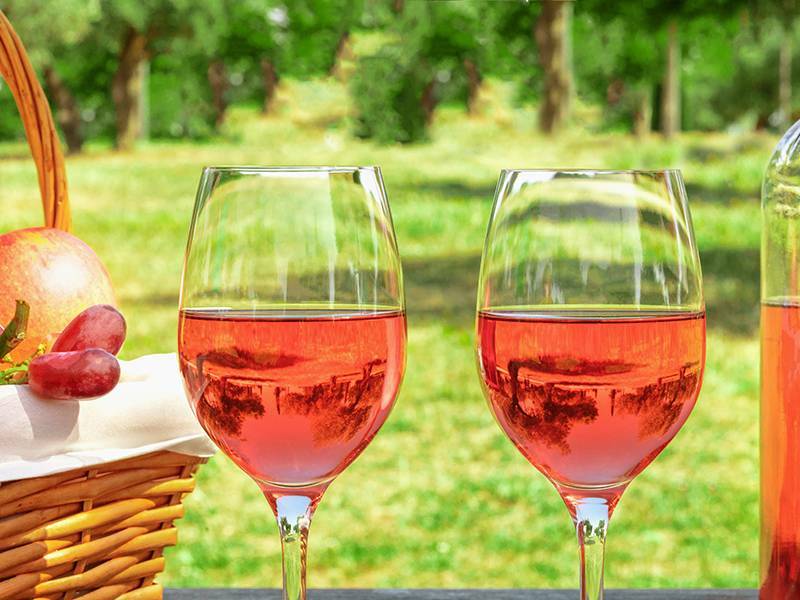 Provence-style rosés are made by gently crushing the grapes and letting the juice get very little contact with the skins before the skins are pressed. This gives the juice a very pale color and delicate flavors, often with floral aromas. This style is great for sipping or to pair with light cheeses and charcuterie. Darker style rosés may be made by letting the skins stay in contact with the juice for several hours to several days; another option is for wine makers to blend a white wine with a red wine together. Often, these styles will have more intense and complex flavors and more body. These styles can pair with lighter summer dishes and meals off the grill. Alcohol and sweetness – Grapes that will be used to make rosés are often picked early so they do not develop as much sugar, which means their alcohol level will be lower. Many dry rosés have only around 12-13% alcohol. While it’s possible for rosés with 12-13% alcohol to have a little sweetness, ones with alcohol under 12% are much more likely to be sweet and the farther below 12%, the more sweet the wine will be. Of course, these are not hard-and-fast rules; there will always be exceptions.